A new partnership between The Neuro and F1000 will create a publishing platform for researchers that will speed the progress of neuroscience discovery. 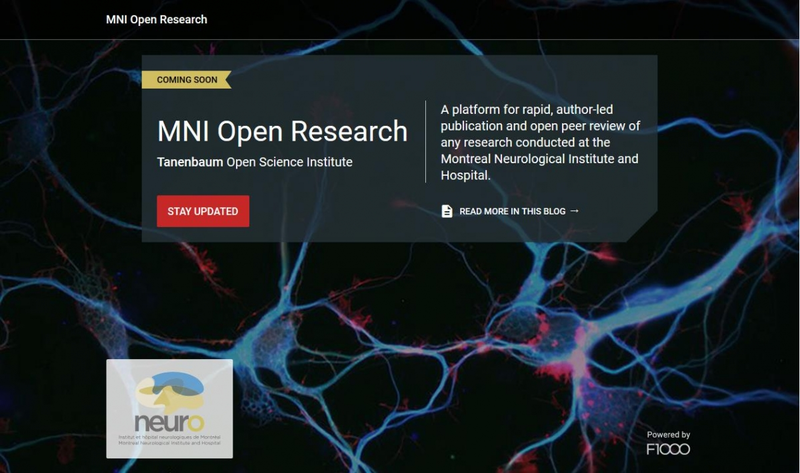 The Montreal Neurological Institute and Hospital of McGill University (The Neuro) is partnering with F1000, a provider of support services for researchers, institutes and funders, to create a new open research publishing platform called MNI Open Research (https://mniopenresearch.org). MNI Open Research will allow Neuro researchers to publish research outputs within days of submission. Through this platform, invited peer-review will take place on an open basis, ensuring transparency. All data involved in studies will be published, including null results, so that researchers from other institutions can avoid wasting time on experiments that have already proven fruitless. By providing a quick and open publishing option, MNI Open Research will lead to greater collaboration between researchers, more sharing of data and faster development of new therapies. The partnership is another step in The Neuro’s goal of becoming an open science institution. In December, The Neuro launched the Tanenbaum Open Science Institute (TOSI), an initiative that will facilitate the sharing of neuroscience findings worldwide to accelerate the discovery of better treatments for neurological diseases. The publishing of research results, including negative results, without restriction, is a founding pillar of TOSI. By launching MNI Open Research, The Neuro joins Wellcome, the Bill & Melinda Gates Foundation and the UCL Great Ormond Street Institute of Child Health in creating open research publishing platforms with the collaboration of F1000. The platforms are based on the publishing model first used on F1000Research.